Stormwater is the only growing source of water pollution in many watersheds across the country. With urban populations expected to grow to nearly 70% by 2050, and more frequent and intense storms occurring across the country, there is ever-increasing pressure on stormwater systems and water infrastructure. While the challenges of stormwater management appear to be vast, overcoming them creates a unique opportunity for governments, industry, academia, and civil society to further advance sustainability, resilience, and community livability. 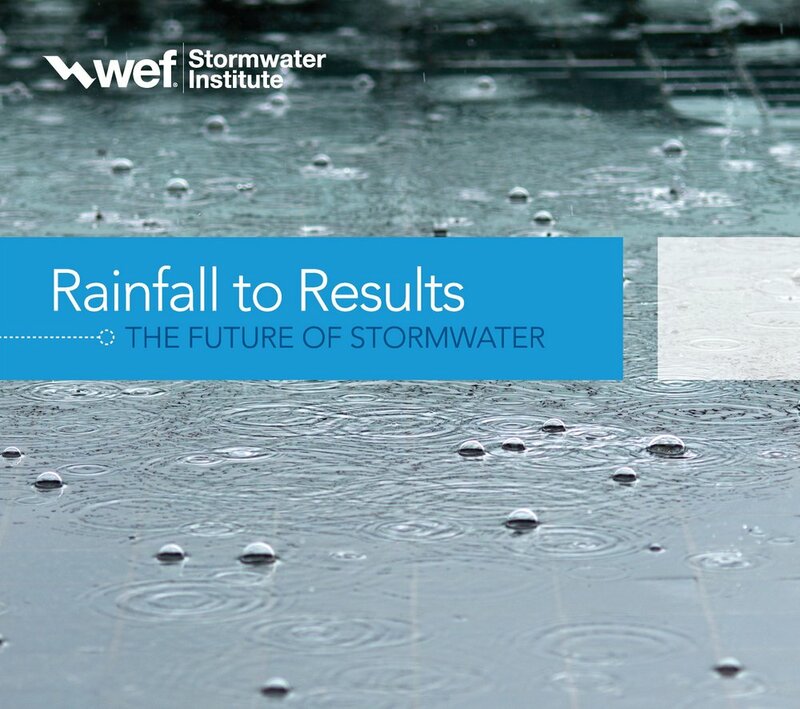 Based on input from leading stormwater professionals, Rainfall to results: the future of stormwater details the challenges, opportunities, and pathways to improving the nation’s stormwater systems to make them more efficient, effective, and sustainable. The report is the first product of the Water Environment Federation (WEF) Stormwater Institute and charts a path forward for the sector with a vision, broad objectives, and specific actions for achieving a healthier water environment. In the future, all stormwater will be considered a resource and managed through an optimized mix of affordable and sustainable green, gray, and natural infrastructure. Pollutant source control and management of runoff volume will be pursued aggressively as a complement to traditional stormwater controls. Stormwater infrastructure will be funded fully and managed by a true utility with a comprehensive asset management plan that benchmarks for future success. Management techniques will improve continually through new science, experiences, technical innovations, and responsive regulations. Stormwater management will be part of doing business and part of community resiliency and quality of life. The community will value and understand the many benefits of stormwater infrastructure. Work at the watershed scale – all communities will have integrated, watershed-scale assessments of water resources needs and challenges. Transform stormwater governance – communities will catalyze further formation of stormwater utilities and stormwater regulations will stimulate stormwater control innovation and performance improvement by focusing on program outcomes. Support innovation and best practices – a broad suite of verified stormwater controls and best practices will support confident planning and maintenance. Manage assets and resources – stormwater systems will be maintained through robust asset management programs and supported by innovative information technology. Close the funding gap – communities will align stormwater management efforts with broader community goals to garner funding options and have access to innovative financing opportunities. Engage the community – communities will understand and value the contribution stormwater management makes to flood risk reduction, clean and safe water, climate resiliency, and other benefits.